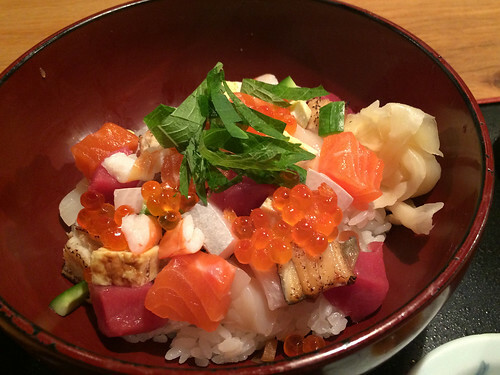 In brief: There can be a wait for a table at Ootoya, but not if you're dining solo at the bar. I had a conversation with the fellow next to me at the bar counter at Ootoya today. He wanted to explain the woman who had stopped on her way out. She stopped, I could hear her just behind me, to talk to him and chat for a little. He explained that she ate lunch at Ootoya every day and since he started going several times a week, they had become less than friends, more than acquaintances. They chatted about their weekend plans, about how Montauk has really changed and where off the highway she was located.